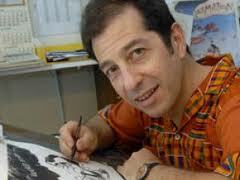 Satirist Jonathan Shapiro, better known as Zapiro, has been named the 2012 recipient of the great International Publishers Association (IPA) award for Freedom to Publish. This is received for his bravery and courage in upholding the freedom to publish his feelings and commentary on whatever way he wants to, political-satire. He’s one of the greatest Cartoonists the country has ever had in his generation – someone who published without fear of being reprimanded. He was even summoned by the country’s president about the controversial cartoons he portrayed of him. But Zapiro kept his commentary flowing and expressed his freedom with the most controversial shower on the president’s head cartoon.